Why Passaic Valley Title Service, Inc. in NJ? Our underwriting department has more than 139 years of combined experience in the title field. That's unheard of at most title agencies or offices in New Jersey. 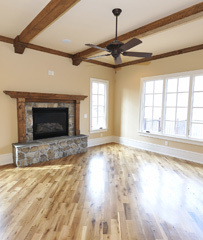 You can rest assured that we will do the job, any job, and do it right every time. At Passaic Valley Title, we pride ourselves on the custom personal care we provide from the smallest residential real estate transactions to multi-million dollar industrial properties, offices and condominium projects across the Garden State. We utilize a state of the art computer system complete with electronic documentation and document imaging. Our data (your private information) is kept encrypted and secure within our “Cloud-Based” Storage System. Your files will always be at our fingertips long after "paper files" and “documents” are either destroyed or lost. You will always have access to the records of your transactions. Passaic Valley Title has been actively involved in many complex projects throughout the years, and you'll find our 139 years of combined experience a terrific asset on any transaction. The history and evolution of land development is often complicated. Real Estate begins as huge parcels of acreage and, over time, evolve into smaller pieces of land like “pieces of puzzles”. In order to determine that you own your “piece”, we utilize state of the art “Deed Plotting” software and have the personnel and experience to do it. 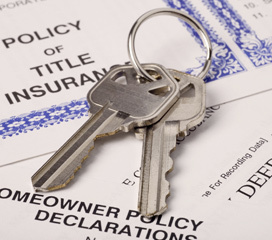 Simply put, no one provides title search and title insurance services better than Passaic Valley Title in Clifton, NJ. Secaucus Outlets: Several commercial complexes throughout the Hackensack Meadowlands, some with very complex chains of title. New Jersey Turnpike: We've conducted extensive title work for the ongoing improvements to Interchanges 6 thru 9. Passaic Valley Water Commission: We've been their "go to" title company on a range of issues, including the locating of their many pipelines, easements, rights-of-way and how they affect surrounding properties. We worked with and assisted the authors: John A. Celentano, Jr, Esq. and Henry C. Walentowicz, Esq. in supplying information from a “title perspective” for their well-regarded (and most useful) publication: "Real Estate Law and Practice: New Jersey Practice Series, Volume 13". Most attorneys appreciate the value and ease of reference that these books afford any real estate practitioner. Passaic Valley Title is a full service agency that can assist the attorney in all of his/her title needs. We are fully computerized and can put together a binder in 24 hours or less when necessary. 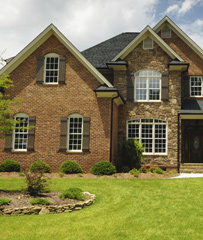 We can offer our professional and expedient services in all of New Jersey's twenty-one counties. 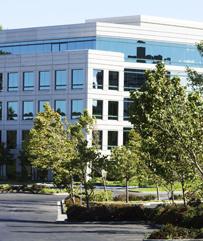 Our underwriters also provide national title services throughout the United States. and just about any other "look-up" that a law office could require. Our courteous staff is always available when called upon. At your request, we can personally "hand-deliver", "e-mail" or "fax" any and all Title Commitments/Binders, Endorsements, Reports and title Policies. Just tell us how you want it and it gets done. We issue policies quickly, accurately and respond to mortgagee's requests immediately (We'll keep those lenders off your back). We can provide computerized amortization schedules that you may require in just a matter of minutes. We prepare and provide "Notices of Settlement" on your behalf at the time your Title Commitment is issued. The Notices are affective for a period of "ninety (90) days" and we monitor your file in case we have to re-file. We can also assist you with and provide any other required documentation in order to facilitate an orderly and timely closing. Customizing our service to fit your every need is our specialty! Whether you are a large real estate practitioner or just do a couple of closings a year, we'll make it fit and we'll make it easy. All of our clients are kept abreast of pending or enacted legislative changes via e-mail and facsimile transmittal "bulletins". This service keeps you ahead and on top of your game. By having Chicago Title and Commonwealth as our underwriters Passaic Valley Title Service has access to the best legal counsel there is and the largest pool of back titles and title plants available in the entire state of NJ.